Of course, I had to buy something from the Nicole by OPI Kardashian Kolors line, and no matter what you think about this family they are brilliant at marketing their brand. so cheesy, yet so good. 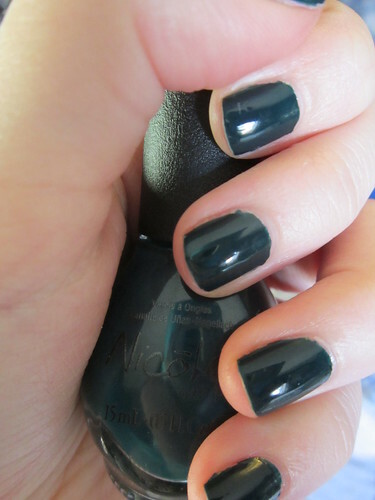 I love dark colours on my nails, and this is a nice pigmented creme-finish dark teal that is very glossy. I highly recommend it and think it is one of the more unique ones from the collection. My only gripe is the brush, because it is cut on an angle and makes it a little tough to apply but it's fine.